Despicable Me DVD and Blu-ray release date was set for December 14, 2010. 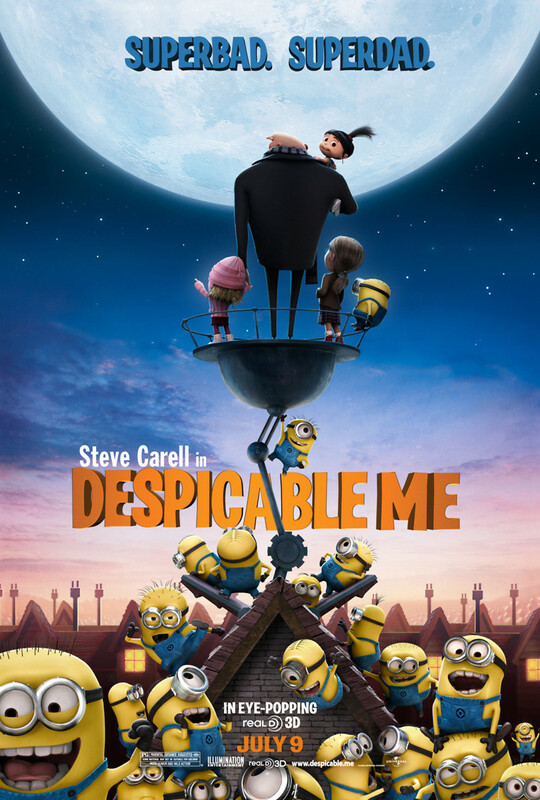 "Despicable Me" begins with a super-villain named Gru coming up with the idea to steal the moon, but he can't get the funding possible until he secures a shrink ray first. Gru successfully steals the shrink ray, but it is immediately stolen from him by another villain, Vector. Gru attempts to steal the shrink ray back, but he is constantly thwarted by the booby traps that Vector has surrounding his home. While staking out Vector's home, Gru notices that three young girls are able to access the home by selling cookies. Gru then adopts the young girls to gain access to Vector's home. Gru uses the girls to successfully steal the shrink ray, but he begins to gain feelings for them over time. Gru steals the moon, but Vector takes the girls at the same time. Gru gives the moon to Vector for the girls, but Vector betrays Gru. Gru's minions work together to save the girls from Vector.